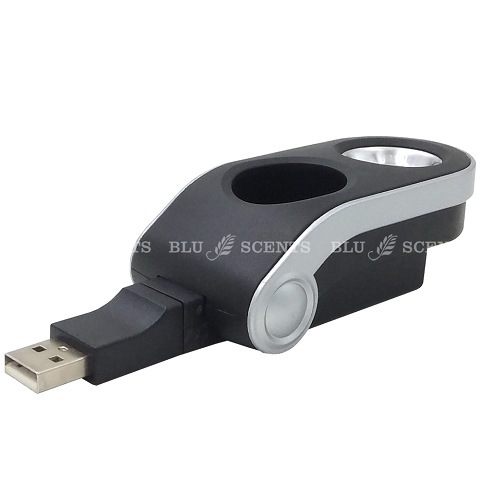 This USB car diffuser is portable and powered by USB port . Simply plugged into any USB port to enjoy aromatherapy benefits from our therapeutic grade pure essential oil. Marvelous in scenting your personal space by plugging it into a USB port on your laptop, in your car, or a power bank. It is lightweight, easy to carry and perfect for travel. Easy to use with one button design, after connect to USB power source, simply add few drops of your favourite pure essential in the small reservoir, press the On/Off button then enjoy your aromas on-the-go. Take it with you now and enjoy a mood-lifting day wherever you are. Everyday must be your good day, as you deserved it! 1. Plug in the device to the USB port outlet. 2. Place 2-3 drops of essential oil into the small reservoir. Press the power button. The indicator LED lamp will light up and the device starts working by gently heating up the oil. 3. In 2-3 minutes, the scents of pure essential oil will start to disperses into the air. Please to be reminded to clean the sink with soft cotton pads before adding new oil,. 4. Press POWER button again to turn the unit off. The indicator lamp will turn off. 5. Refer to Instructions Manual for more info.